Digital Alchemy (DA) is proud to have joined the CMO Disrupt 2016, in Sydney. The CMO Disrupt showcase the best in technology, innovation and disruption and explore how and why the role of the CMO continues to evolve through the advent of technology. 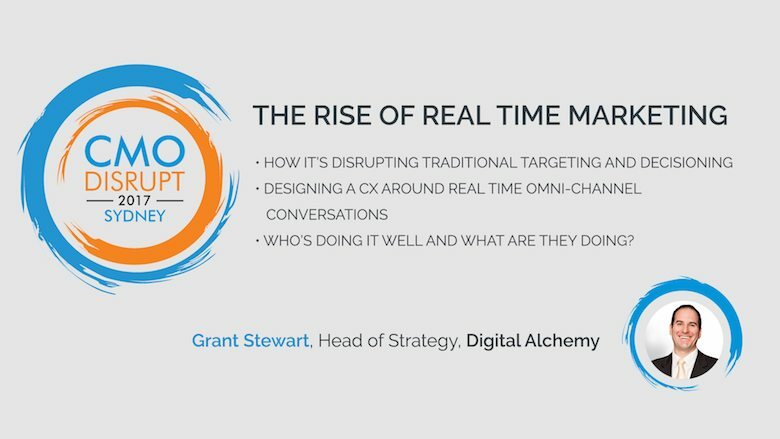 Grant Stewart, our Head of Strategy, talked about “The Rise of Real-time Marketing” and gave great insight into how it’s disrupting traditional targetings and decisioning.